Rotary is changing and sometimes quicker than we realise. 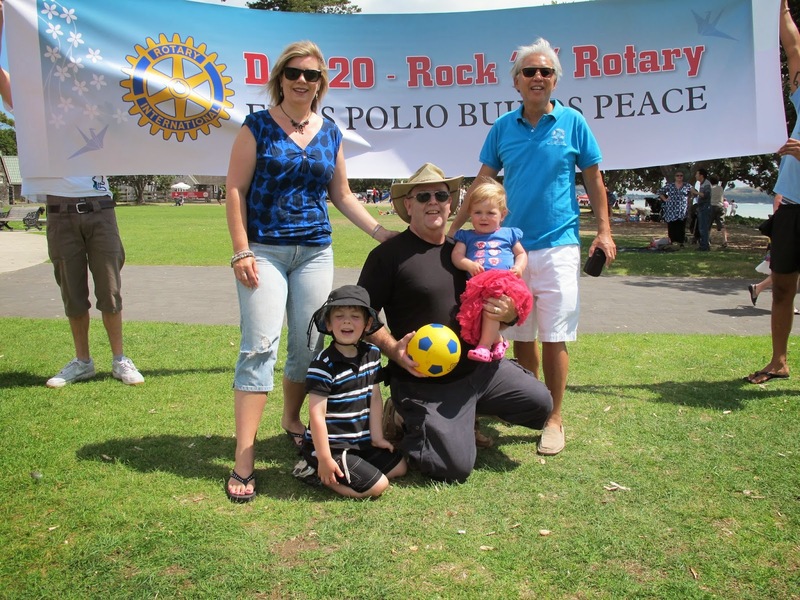 My defining Rotary Moment was having my wonderful District Governor (DG) year group 2009-10 accept that during our training lead up, I would be attending with our newborn son Brayden. The boundaries were pushed when I had to attend the Rotary International Director’s Training Weekend in 2008 when Brayden was only four months old, so I was still breast feeding. The funniest part was I wasn’t the one having to leave the room - it was my husband Mike who had the job of rocking Brayden to sleep. I didn’t miss any of my training, as I was armed with my “hooter hider”. My year group and all of the presenters were amazing. Once they got over the initial shock, and understood this was the way it was going to be, it was like this wasn't unusual. It was the start of an amazing journey. Brayden attended so many meetings, he even got his own Rotary badge. The joke during my official club visits, was that even as a baby, Brayden was 100 per cent attendance, so if he could do it, so can you! It even got embarrassing when I turned up to a meeting without him, as everyone was always asking after him. This was a special part of why my year as DG was the best of my life. When I put my name forward to become DG, the Nominating Committee were dying to ask if I was thinking of falling pregnant, but they couldn’t do so. My sincere thanks to our District 9920 and also my DG year group for believing that family wouldn’t get in the way, but actually enhance the Rotary spirit.